Will power! Motivation only goes so far. This is not your conventional thinking now, is it? Motivational speakers are abundant and they do get us going. But for how long? I’m guilty of languishing in my dream world of “I’m Going To.” I’ll get fired up and then I run out of steam. At the top of my list has been to build a new webpage. It was embarrassing to tell people to go there, so I needed to DO something! Part of my dream world of “I’m Going To” circles around reading. Cozying up to a good book is my easiest route to figuring myself out, getting ideas, making changes (or in some cases, slipping away from my chaotic mind). So something I have discovered is that my habits need to change. That figured out, I found a short little ebook with a very long title: Habits: No Motivation Required: The Effective Formula To Make Real Change, Ensure Your Success AND Gain Ultimate Freedom Through Willpower by Christopher Kalford. Phew! Et voila! 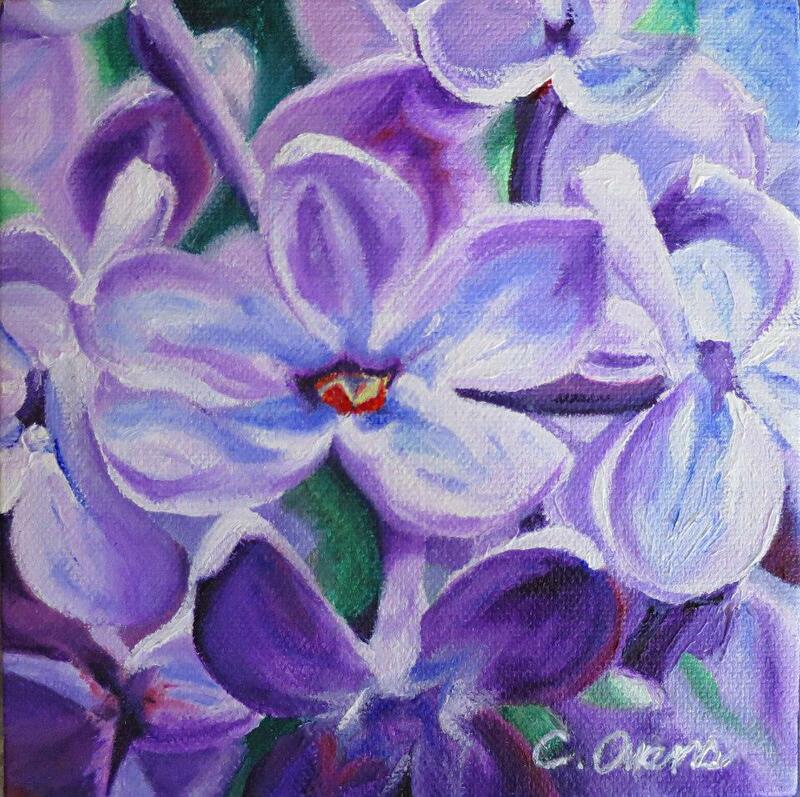 I have created my new website: Christine Owens, Fine Art! Now, of course, I need to power through the loose ends: new business cards, new links. No problem! I’m on it!! Acceptance. Resistance. Yes, I have always been resistant, a rebel, independent. Part of my resistance has been a lack of trust that the Universe will actually lead me to my best self. So, I have always questioned the motives of others and trudged on, making my OWN path. An artist must, right? Okay, the signs in my life currently all lead to another path: acceptance. Why not? Let’s see what happens! First, as I prepared my banner for my new Facebook Business Page, I realized that, well, yeah, I AM good at painting flowers. I paint them because I love the color, the flow and pattern, the stillness and beauty that they portray. I want to share that beauty with others and work diligently to make them beautiful. But, I’ve resisted this directional pull because I see so many flower paintings. What’s so unusual about the work? Probably not much, but I am being told now that I have developed a style that’s worth buying. OK. Accepting my Gift. Second, I have accepted that the Universe HAS lead me very carefully to a beautiful life worth living. It’s good and I’m happy! What’s not to trust? I’m a rebel, yes. Viva la revolution! The dictionary has several definitions for Revolution. One is to make a 180-turn. Another is to bring about a change in government. Acceptance. Resistance. “What you resist persists.” I get it! I get it! Flowers are my thing…always have been. I’m making a 180 and changing my inner government. I accept my gift. OK! I did it! I took the plunge; made the leap. I had a professionally printed card made up for sell! “What’s so hard about that?” you ask. OK. So there is a little unwarranted fear involved in handing over the cash. Will it sell enough to warrant the expense? Yes, it’s the expense. We artists are actually quite “thrifty.” Being creative provides a huge arena of inspiration for saving up that cash. “Make it yourself!” And I have been making cards with my paintings for years now. More courage. More faith in myself. Less time for the making of cards. Wanting more time for the paintings. So, yes, I did it! This oil painting is from a story that I wrote about on this blog many years ago of people living in caves in France: OMG! Living in Caves!•June 29, 2009 I could never sell this painting because the experience is too precious still. Many have asked, but the piece will remain on the wall in my dining room wherever I live, until the day I die! But now you can buy a 5×7″ card and frame it nicely. 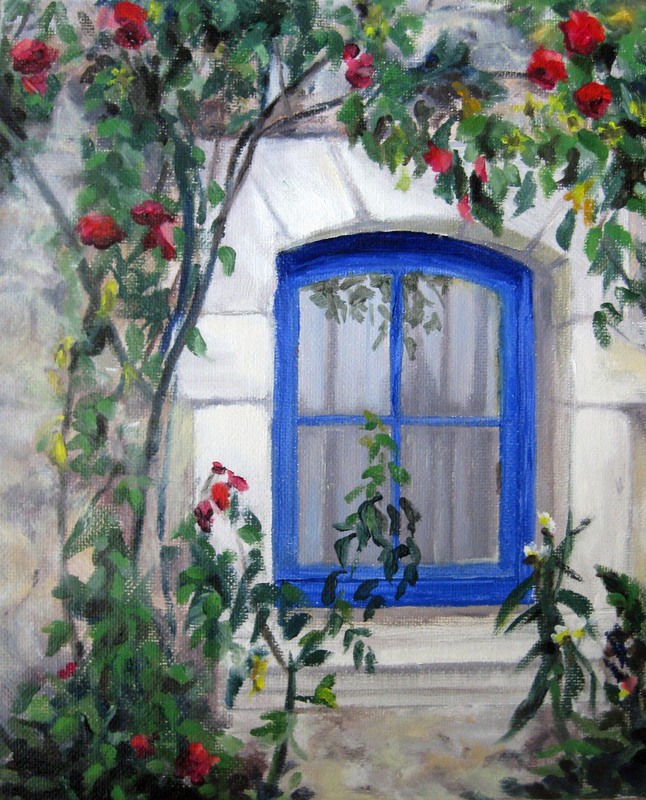 See it in my etsy.com shop, along with my other work here: Une Fenetre sur le Loire, France. Life is what you make it. Make it beautiful and be BRAVE! Letting the Lightning Be Seen…. As a woman and artist who was trained to be pleasant in society and now finally coming into my own power, I was completely taken by this post on REBELLESOCIETY.COM! While they are not my words, they are my heart and soul. She made an art of her disguise. Although her greatest yearning was to be recognized, and accepted by those of like and thunderous hearts, she walked in the world, but not of it. She participated, and contributed, but did not belong. She worked, and laughed, and fulfilled her duties so flawlessly that those in her circle accepted the mirage — the illusion of her that would disappear if one were to reach out to touch her. … the one that would not be stilled. She began to know, as her self-awareness grew, that the storm could not long be contained without causing irreparable damage. She knew the truth of her needed the wind in her hair, her hands in the earth, the fire in her heart, and rain that fell from her eyes, cleansing her soul. She knew, without them, she would disappear. So she let the storm build. She knew for certain that there was only one way to tip the world from the false facade of power, into the glory of a world of magic and possibility. It demanded the courage to drop her defenses and let the truth of her call to the truth of the others at the far edges and dark borders of their own lives. She had to be brave enough to open her eyes and let the lightning be seen, and the overwhelming thunder of her heart be heard as it responded. She had to show them how to create a new world with only the flashes and pounding to lead them through a shallow existence that didn’t welcome change. She needed the winds of change, the nurturing earth, the fire of transformation, and the rain of life’s mysteries to have a prayer of succeeding. In a roar of thunder, she unleashed herself on an unsuspecting world. There were many who turned from her, mocking her as she dropped her disguises. Those she loved shook their heads and distanced themselves from the discomfort of her self-searching and truth-telling. Although it grieved her, she let them have their comfort of space, and continued to call to those with elemental hearts, wild spirits, and souls of fire. All that was not the truth of her fell away. She began to call to those who would listen, who could hear, who held inside themselves a heart of thunder. She called to those who were not afraid to bleed for the wrongs, and were willing to heal them. She called to those whose hearts were weary of carrying the armor of pretense. She called to those who were at last desperate to see, hear, feel, be… to unapologetically live. She called to them, her heart thundering against the madness of this existence as it is. Simple shot here: I want to share this article with you! Getting those great detailed or faded edges on a painting can be the key to progressing from amateur to inspiring. I will be coming back to this post often. Take 5 minutes to read it. An artist is always dreaming, and often acting on that dream. Lately, I’ve been spending more time in the quiet space that reveals the heart, instead of in the mind that is always pushing and struggling. I like it better here. I hear better. I listen better. I think the world needs more listeners. And I am painting because I want to paint, not to generate money. Last week I heard a poem that was so revealing of my space that it touched my heart; it encompassed years of longing to connect. It’s here for you, too. ~I don’t know the author. Do you? A reblog, because it is still true, especially after retiring from teaching art. Now more time is available for the creating. To tell you the truth, I don’t think I’m happy without some kind of creative project. The thoughts and ideas are the energy that keep me going, moving forward…sometimes obsessively…through a life that could otherwise become dull and repetitive. In October I fell victim to the usual illnesses of a teacher. I pushed on, overtaxed my body and ran my immune system down. Still pushed on…after all life is for living, right? More health issues smashed my world until the doctor “ordered” me to slow down. Fine! Thanksgiving and Christmas were kept simple and I skipped many activities with friends. Fine! Decided not to participate in any of the art shows. Fine! Did a lot of reading, spent time with my family. Fine!